It was just last year that I learned about the tradition of four gifts at Christmas. The idea is you give each person something they want, something they need, something to wear, and something to read. Even if you aren't following it to a tee, it is a neat way to make your gifts diverse and well rounded. And with these neat four gifts gift tags, they will be well wrapped too! 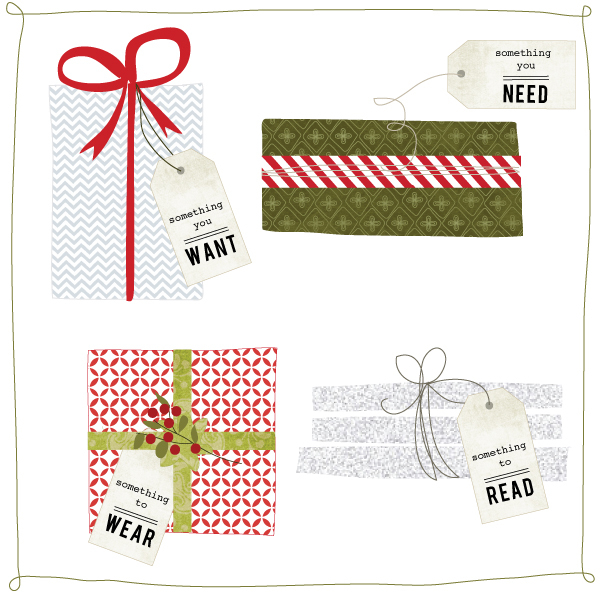 You can download the four gifts gift tags over at Jones Design Company.